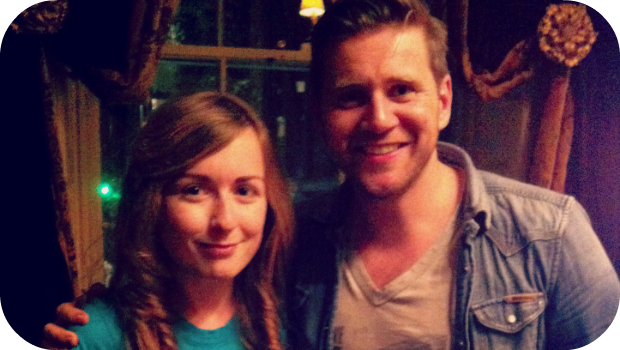 They say you should never meet your idols for fear that they’ll be utterly horrid but if there’s one thing I can say about Allen Leech it’s that he definitely didn’t disappoint. I’ve been a big fan of the Irish lad’s work ever since he first waltzed on to my TV screen (via the video player) in Cowboys And Angels about 10 years ago. Since then myself and the mother have watched his career develop, from film roles in the likes of Man About Dog to The Sweeney and fantastic turns on d’telly in shows such as Love Is The Drug, Legend, Rome and, of course, Downton Abbey. So, needless to say I almost fell off the chair when the boss told me I’d be heading off for a bit of a chat with the fella. I’m nothing if not a TV nerd so the chance to ask one of my favourite small screen actors a series of questions was one I was most definitely going to jump at. Last Friday I had the pleasure of sitting down with the very amusing Mr Leech and, after allowing him to pull my curls to confirm they were real, have a good old chinwag about his new flick In Fear, find out what’s happening with Branson and Thomas Barrow in Downton’s fifth season, and even get a little bit of information about his next big project. Oh, and there’s a Bet On Branson squeezed in there too, for my sins. ← WATCH: Hands up who spotted the Irish newspaper in the Muppets Most Wanted trailer? I love how you tell him not to say ” this ship has sunk” because it really hasn’t! Haha sure don’t I know that all too well!